Liner Repair by Lester Pools Inc. Families love swimming pools, and Lester Pools Inc. loves to provide local pool owners with high quality pool service. As your pool liner ages and wears through, Lester Pools Inc. is ready with the components and skills required to get your swimming pool back into shape. Our superior materials and experienced staff provide local clients with peace of mind and reliable water recreation. All swimming pool liners wear with time and exposure to sunlight and chemicals. And mechanical components within your pool system eventually need to be replaced. Lester Pools Inc. provides a wide range of pool replacement parts, including liners, pumps, filters and heater parts, as well as pool accessories. We’ve been working in the pool industry since 2007, building connections with brand name manufacturers in order to serve the needs of our clients. Lester Pools Inc. staff are trained on a wide range of pool systems, and have experience with pool liner and system replacement projects of various sizes. We’ve handled swimming pool liner replacements, filter and pump replacements, pool heater replacements and many other projects with professional skills and quality service. Local pool owners trust Lester Pools Inc.'s services, and so can you. Lester Pools Inc. is well established in the region, with a long list of satisfied clients. We stand behind each customer and every pool liner replacement which comes with our satisfaction guarantee. Lester Pools Inc. offers high quality parts and expert analysis, backed by our strong commitment to you and your family. 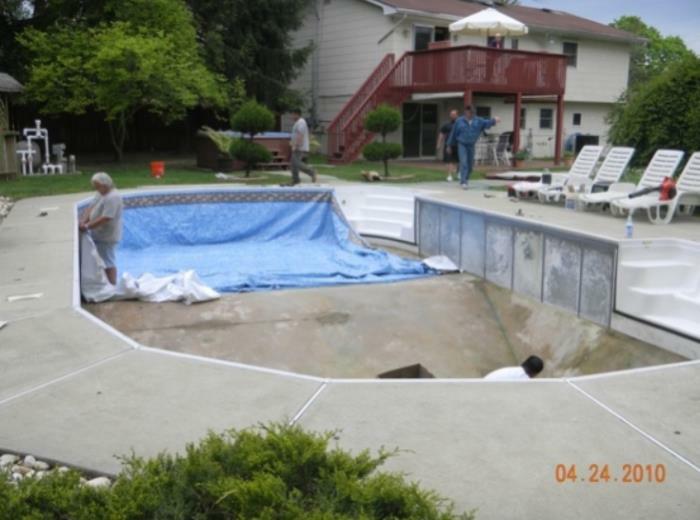 Trust Lester Pools Inc. for your liner repair & replacement. Call Lester Pools Inc. at (732) 201-4521 today to learn more.